The Spring issue of WPA's printed quarterly newsletter has been mailed! If you haven't seen your copy yet, you may download it HERE, or see below for some highlights. As we are all trying to dig out from the snow and ice that just descended upon Wisconsin, I have to remind myself that it is also the time of year when spring is trying to knock the door down. Easier said than done given the current weather! Anyway, the Wisconsin Medical Society just completed their Annual Meeting, and as the Psychiatry Section Delegate, I was fortunate to attend. Many of you may not realize just how many psychiatrists are involved in WMS as delegates and leaders: Dr. Michael Miller is currently the speaker of the House of Delegates; Dr. Jerry Halverson is the WMS Chair of the Board, and as of this past weekend, Dr. Molli Rolli is the new WMS President. Congratulations to Dr. Rolli and to all psychiatrists who are involved! In addition to the work we do at the state level, WPA has also worked closely with APA on many fronts. We were able to obtain grant funding to cover the expense of our jointly developed Amicus Brief in the medical malpractice liability case that I’ve mentioned in previous updates. The Supreme Court of Wisconsin continues to work through that case and more updates will be shared as they become known. APA is also ramping up for another annual Meeting. Many of us from WPA will be in New York City in early May, and there are multiple events directly and indirectly involving members of the WPA. If anyone is interested in getting together while there, please feel free to contact me or the WPA office and we can try to help facilitate. Best wishes and have a wonderful spring! Friday the 13th of April 2018 was a lucky day for the physicians and patients of Wisconsin as Past WPA President and current member of the WPA Executive Council, Martha “Molli” Rolli, MD was inaugurated as the 167th President of the Wisconsin Medical Society at the Monona Terrace in Madison. Dr. Rolli is an outlier as President. She is amongst a handful of psychiatrists to hold the position and the eighth female President in the history of the Society. 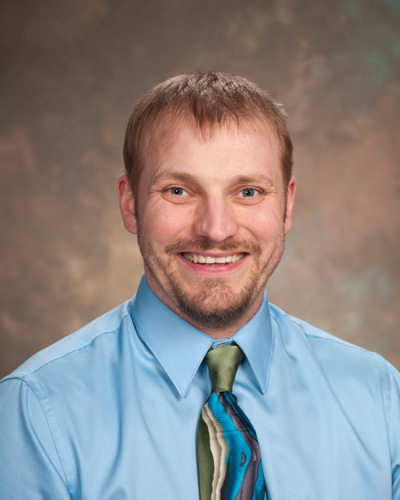 Dr. Rolli is currently medical director at Mendota Mental Health Institute. She has been in our leadership at WPA for many years since her presidency from 2003-2005. She has helped to chart the path of the organization and playing a large role in many of our successes for the promotion of mental health care in Wisconsin. Read more. With an odd-year spring finally upon us, the Legislature has formally adjourned the 2917-18 Session and heads off to campaign for November. Republicans presently dominate Wisconsin politics holding the Governor’s office, the Attorney General’s office, a 63-35 majority in the Assembly and a 18-15 majority in the Senate. November will see races for Governor, Attorney General, all 99 Assembly seats and 17 of the 33 Senate seats. 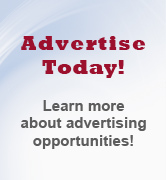 (As well as all 8 of Wisconsin’s Congressional seats and one U.S. Senate seat.) Recent special elections and Supreme Court elections in Wisconsin, as well as other states, suggest a typical anti-President’s party mid-term election coming. Republicans downplay prospects of a “blue wave” election favoring Democrats, touting Wisconsin’s economic status and low unemployment among their achievements. Democrats, meanwhile, believe the electorate is ready for change and are working hard to recruit candidates and raise money in as many Wisconsin districts as possible. There is much time between now and November, and elections tend to tighten up as voting day approaches regardless of who appears to be leading early on, but without a doubt 2018 is shaping up to be another in a series of very interesting recent Election Days. Read full article. May 6 - Rogers Behavioral Health is extending an invitation to WPA members to join their reception during the APA Annual Meeting; Sunday, May 6, 7:00-8:30 pm, New York Marriott Marquis Gilbert Room, 4th floor. Please RSVP by 4/30/2018 by emailing Rick Ramsay, or calling 413-822-8013 with your name, email address and cell phone number. May 21 - WPA Milwaukee Chapter Dinner & Discussion, "Technology in Everyday Clinical Psychiatric Practice" Learn more and register for this complimentary event. July 23-August 10, 2018 - MCW's 32nd Annual Door County Summer Institute. Learn more. 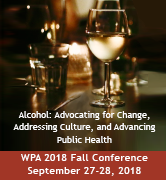 September 27-28 - WPA Fall Conference, "Alcohol: Advocating for Change, Addressing Culture, and Advancing Public Health". Learn more and register. The conference schedule includes a complimentary Integrated Care Training pre-conference workshop . View the latest installment of Psychiatric Summary, a publication consolidating recent clinical updates, mental health policy news, popular press news patients may be reading, and changes in the landscape of psychiatry in Wisconsin. 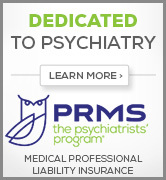 Psychiatric Summary is produced quarterly by Frederick Langheim, MD, PhD.